You’ve heard the name, and now you want to know – what is Stitch Fix and how does it work? Read on to learn how does Stitch Fix work. Stitch Fix, Inc is a personal styling service that sells a range of apparel, shoes, and accessories to men, women, and children that are hand-picked and delivered right to your door for a one-time styling fee. Stitch Fix was founded in 2011 by Erin Morrison Flynn and Katrina Lake during Lake’s time at Harvard Business School and is headquartered in San Francisco, California, USA. As of February 2018, Stitch Fix is worth $2 billion as they are a publicly traded company on the stock exchange (going public in November 2017). They have over 5,800 employees including 3,000 stylists and have over 2.7 million active clients. Fun fact: Stitch Fix used to be called Rack Habit Inc.! You can read more about Stitch Fix’s beginnings on Forbes.com. They have clothes for work, for special occasions, for play, for dates, and for everyday wear. They don’t currently have a lot of workout or fitness apparel except for kids. What are the Stitch Fix Sizes? Stitch Fix sizes for women are XS-XXL and Stitch Fix Plus-Sizes are 14W-24W, 1XL-3X. They also offer petite sizes. Stitch Fix maternity sizes are 0-16 or XS-XXL, but can style you with maternity-friendly tops through your second trimester if you are sizes 1X-3X and 14W-24W. Stitch Fix Men sizes are XS-3XL, waist sizes 28-48 and inseams 28-36. They also have Men’s tall shirts. Stitch Fix Kids range in sizes from 2T-14 (typically for kids ages 2-12). What Brands Does Stitch Fix Use? Stitch Fix works with 1000+ brands, many of which are private labels or designed exclusively for them. Pick the date you’d like to receive shipment (it is only shipped automatically if you choose it to be, otherwise it is on an “as requested” basis). Receive the box in the mail around your desired shipment date and try everything on at home over the next 3 days. Check out and complete your order online, giving feedback on each piece. Ship back anything you don’t want via their prepaid USPS return envelope (including exchanges – it’s all free). Update and repeat as desired. Stitch Fix is not a membership site nor does it require a monthly subscription fee. They only charge a $20 styling fee for each box shipped, but the fee is applied to anything kept in the box. All shipping, returns, and exchanges are free. What Comes in a Stitch Fix Box? Every Stitch Fix box you receive comes with five items, unless it is a Stitch Fix Kids box which comes with 8-12 items. Inside the box is also the price sheet, a style guide with a personalized note from your stylist about the clothes she picked for you, and a pre-paid return envelope. You may also receive another card about an additional promotion or sale they have running (especially if it’s during a holiday season). Go ahead and sign up for your first Stitch Fix and see how it works first-hand. Generally, Men’s and Women’s items range from $25-$500 and Stitch Fix Kids items start at $10 each. You can also specify if “for the right item, would you be willing to spend above your set budget?” yes or no. The good news is whenever you keep an entire Stitch Fix, you receive 25% off your entire purchase. You do pay taxes on the items kept, so keep that in mind. Schedule your first Stitch Fix and see how you like the clothes and the service for yourself. What is a Stitch Fix Style Pass? You can get all of your style fees waived for a year when you purchase a $49 style pass, which, bonus, is applied toward your next purchase! However, this option is only available to select members. Stitch Fix through the years has invited various bloggers and influencers to their headquarters to get an inside look of how Stitch Fix works behind-the-scenes and what it might mean to work at Stitch Fix as a stylist (or another employee). But, if you REALLY want to know how Stitch Fix works to pick out clothes for you from the logistical, nerdy, algorithmic point of view, you’ll want to check out this Stitch Fix Algorithms tour page. It’s seriously fascinating how they use both machines and humans to match clients to warehouses, syles, inventory, shipments, and new style developments. Your feedback, style profile, and words you use in your requests make a big difference in how Stitch Fix works for their customers! It is literally science that the more Stitch Fix boxes you get, the better they will match you with something you’ll like! How Does Stitch Fix Promote Itself? Stitch Fix uses a lot of word-of-mouth advertising and influencers to promote its services (that’s how I first heard of it, and most people I know – from someone else). But, they do of course also run a lot of ads and other promotions. Stitch Fix recently debuted a new ad campaign on Oscars night and you can see it and all of the Stitch Fix ads on iSpot.tv! Stitch Fix has done a great job of using bloggers and influencers to post, tweet, Instagram, photograph, style, and promote their services through their Influencer Program. Most of these bloggers and social media stars are not paid directly, but rather through their Refer-a-Friend program (Yeah! Free clothes!) that gives the friend referred and the referrer $25 each or through the Stitch Fix affiliate program that is run and managed through Impact Radius (it used to run through CJ). The Stitch Fix affiliate program pays $25 for every shipped Fix for Men and Women and $10 for every shipped Kids Fix. They also offer 4% on gift card purchases. Stitch Fix is often found represented at blogging and social media conferences (they were at Mom 2.0 2018) trying to entice more influencers to sign up and promote them. They also occasionally run contests and campaigns for their influencers and do sometimes pay in additional Stitch Fix credits or cash for posts and social shares about their brand. The Stitch Fix Influencer program is super helpful and aims to support their influencers and bloggers as much as they can. You can get a fun look at the amount of work involved in putting together a styled Stitch Fix blog post thanks to Maria’s post on Crazy Together. I am a Stitch Fix Influencer and have been for several years, ever since I tried my first box with them way back in October 2016. I am not a mega social media star (or a fashion blogger at all! ), and I don’t try to trick anyone into buying anything from Stitch Fix. I always strive in my posts about Stitch Fix to 100% share my honest feedback on their clothes and their service (which is not always positive), but it is why I wrote this post! It’s helpful to take a look at the ins and outs of the working of the company Stitch Fix. I do think their clothes are sometimes way over-priced, think their algorithms don’t always get it right, and that the quality isn’t always super perfect, but their customer support has always been on point, and I have kept several items and enjoyed the process more than I’ve hated it. I always recommend people at least give it a shot if it sounds interesting to you! I’m always up for trying something new! Generally, there’s not much to lose and perhaps a new favorite way to shop for clothes might be found in the process. Try out Stitch Fix today and enjoy some new, stylish clothes just for you. I am interested in the dresses! I am interested to see what kind of clothing is recommended for me. I would love to try out their recommendations for myself haha bc I’m in dire need of more clothes, but as a mom I’d probably use it for my little one and see how they would style her. I like Stitch Fix because I get to try clothes that I normally wouldn’t pick out, and a lot of times I end up liking them. I do not like to shop.This would be perfect for me. I would like to try Stitch-Fix because I hate trying things on in stores. I have always struggled with fashion. I desperately need a makeover and have been wanting to try Stitch Fix for a few years now but I have never gotten around to it out of fear that it wouldn’t work out for me. I think this is a pretty genius service! 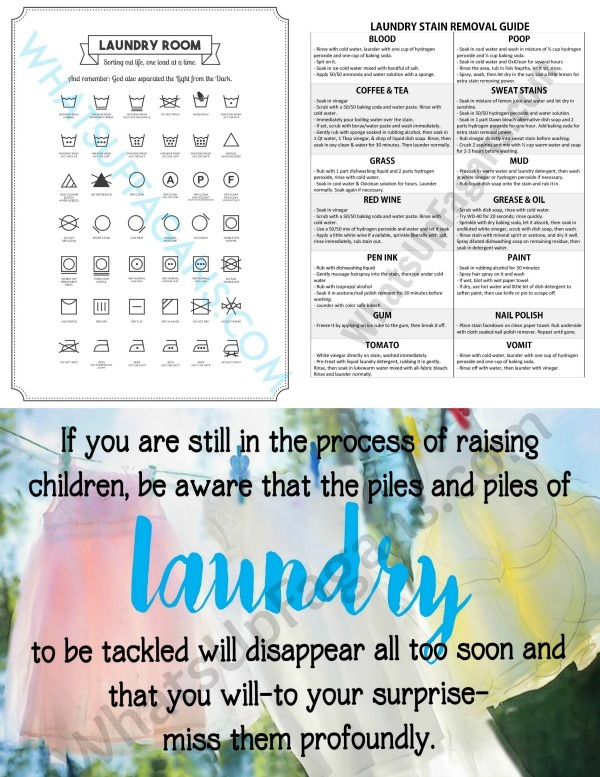 I am a momma of a 4 year old and 5 month old, and this would be very helpful! I tried it out a few years ago and had terrible luck but Ive heard so may positive reviews lately that I’d like to give it another shot! I really hate clothes shopping for myself. I used to love it but now I hate having to remove my glasses to try on clothing and then putting them back on so I can see the outfit and having to fix my hair over and over again. I really like the idea of trying on at home and mailing back what I choose not to keep. I want to try it for the ease of shopping online. I would like to win this because I have not heard of it before. I’d enjoy trying new styles and colors. I would love to try stitch fix because I haven’t tried it but I have heard wonderful things about it thanks rd the chance to win.